Play & Compete. Grow & Connect. 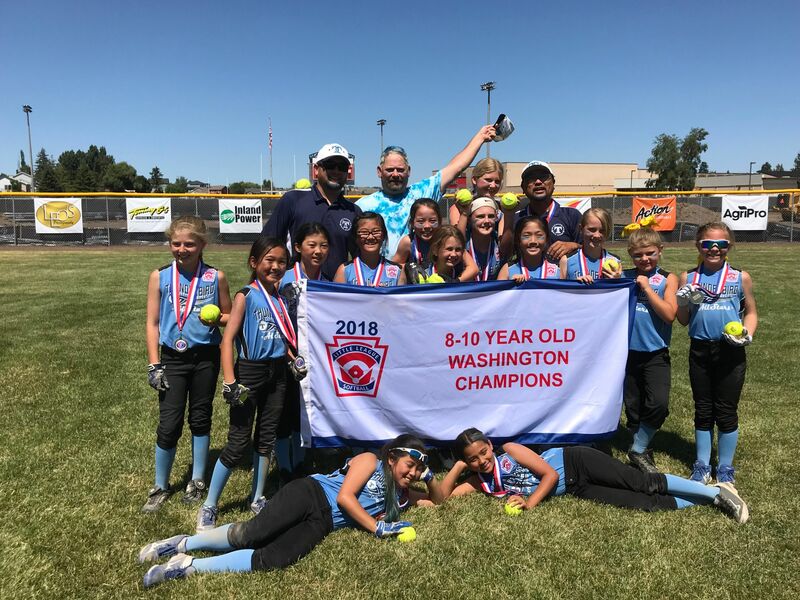 The 8/9/10 All Star softball team played 9 games of near flawless softball to earn the Washington State crown. This year Thunderbird combined with Bellevue East and Bellevue West Little Leagues to field a highly competitive team. At Dodd Field in Issaquah the girls never left the winner's bracket, winning all of their games to earn the District 9 banner, and also earning them the right to travel to Spokane for the State tournament. The girls faced a tough Mukilteo team first, whom they narrowly defeated in a hard fought game. That win kept the Bellevue girls in the winner's bracket, where they then defeated teams from Whidbey Island and Woodinville. Meanwhile Mukilteo battled their way through the loser's bracket and won their way into the Championship. The suspense was high as Mukilteo won the first game 8-4, but Bellevue needed only one win to grab the crown. In the final game, the girls rallied with stellar pitching, hitting and base running and won handily 12-0 in four innings. It was a fantastic finish! Great job and huge congratulations to all the players, and many thanks to Manager Joon Huh and Coaches Andre Barashkoff and Erik Broughton for all your time, energy and enthusiasm! Our 10U baseball All-stars had an amazing and improbable run through the District 9 tournament losers bracket. They lost their first game, but then won 5 straight to win out in the losers bracket. With two teams left in the tourney, Thunderbird played their hearts out last night against Sammamish to end in a second place finish. We love these kids! They have guts, determination, and made the season so fun for their coaches. Congratulations, you should be proud of the way you played! Visit our Team Sponsors Page! Did you know that each year, baseball and softball teams at levels AAA and above are required to provide a team sponsor to donate to our league? Please thank these companies and individuals who have contributed to our cause for the 2018 season by visiting our Team Sponsors page! BTLL's goals are to encourage youth volunteerism and recognize the contribution of our youth to BTLL. The maximum scholarship award available to any eligible individual in a given year is $1,000. Recipients of BTLL Youth Scholarships will also receive a letter of recognition from BTLL and a certificate that can potentially be included in college applications. We are excited about this program and hope to see strong participation from our youth in various capacities, including help in winter training, supporting opening day, and umpiring. Click here to learn more about the BTLL Youth Scholarship Program. Click the links to the right to sign-up to volunteer. 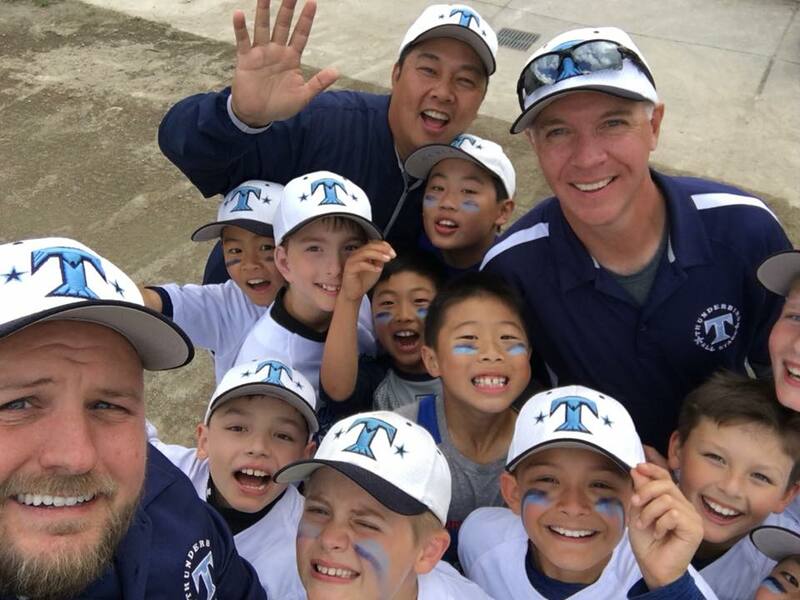 Bellevue Thunderbird is committed to enriching the lives of our youth and our community, and fostering a love of the game by providing a fun and safe environment in which to play competitive baseball and softball, regardless of a player's ability.